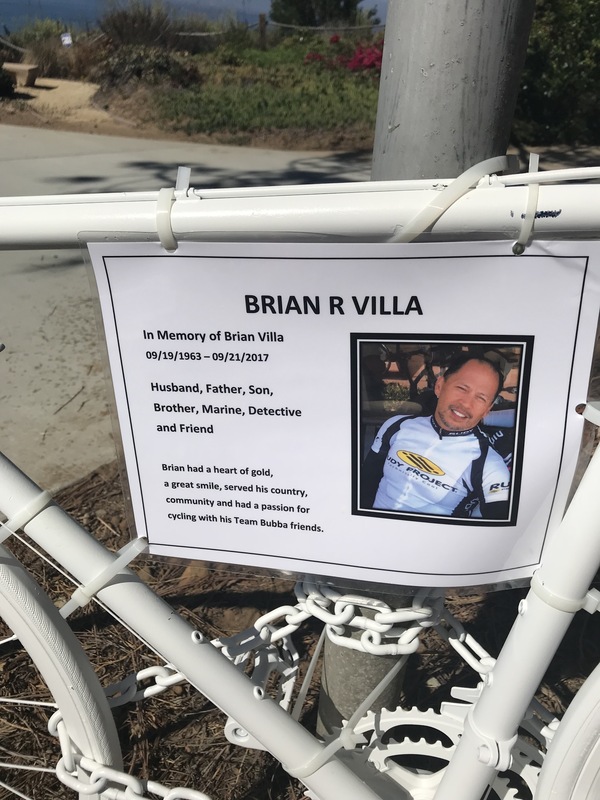 When I got home I did some investigating and found this article in Biking in LA about LA County Sheriff’s Detective Brian R Villa getting into an accident while riding in a bicycle race called Orange County Wheelmen’s Amtrak Century. It is readily apparent that Brian R Villa was a good man who was loved by many. This really hit home for me, as he was almost a year younger than I – and probably in a lot better condition. I would like to thank him and his family for his service to our country while in the Marines – and keep his family in my thoughts and prayers.